Race and Resiliency — What does the research say? Recent events have thrust the reality of racism – both subtle and overt – into the national headlines. What does resiliency research tell us about the challenges that face various races and ethnic groups and resiliency? This question seems especially relevant to our work with children and teens, many of whom face the additional burdens of racial discrimination and living in a culture that too often stereotypes people of various races in negative ways. Specific messages of “racial socialization” provided to children by their families and their extended community. A wide variety of expressions of “caring and support” provided to children and youth by families, the extended community – including churches – and other caring adults in their lives. This information can help all of us strengthen these especially powerful protective factors identified by Dr. Brown. Dr. Brown also notes that the many types of family, extended family, church, and extended community support that is often inherent in the African American culture offer an enormously powerful protective factor as well. “These internal support systems may often serve as [African American’s] first line of defense when dealing with psychological distress” (p. 34). Religiosity and/or spirituality comes up across studies as an important protective factor for individuals of all races. Dr. Brown highlights the historical role churches have played in “contributing to the psychoeducational development of children and provide them with additional role models” (p. 35). 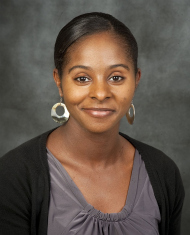 Dr. Brown concludes that “promoting cultural pride and the teaching of heritage and history” as well as receiving support, “including the support of a special person [who is not part of immediate family]” (p. 43) is significantly associated with resiliency among African Americans. Her research validates the power of “believing, alternate mirrors” that I have written about elsewhere, including in The Resiliency Workbook. It also confirms the finding across resiliency research that the most powerful protective factor in anyone’s life is genuine caring and support. She elucidates in detail, however, the multitude of sources of this powerful support typical in the African American community and she emphasizes a unique protective factor: Developing racial pride and learning about cultural and racial history and heritage.